Gregory S. Schaer, Esq. is a highly experienced New Jersey employment lawyer and labor law attorney admitted to practice in the State of New Jersey and is a member of the bars of the United States District Court for the District of New Jersey, the United States Court of Appeals for the Third Circuit as well as the United States Supreme Court. 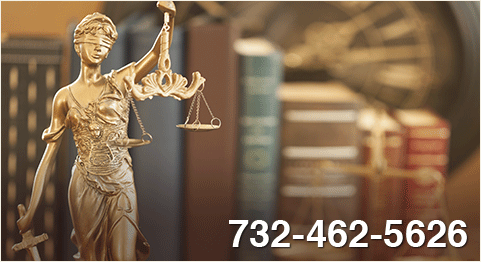 Mr. Schaer has achieved substantial jury verdicts and settlements on behalf of his clients. The cases that he has handled are known by judges and attorneys throughout the United States as a result of numerous decisions rendered by the New Jersey Appellate Division, the United States District Court and the United States Court of Appeals for the Third Circuit. Mr. Schaer and the cases he has handled as a New Jersey employment attorney have been followed by the news media and have been featured in local and national newspaper articles and other publications. The law firm represents clients in all labor and employment matters including but not limited to discrimination, harassment, wrongful termination, discharge, whistleblowing, retaliation, wage and hour, unemployment, disability and Family Medical Leave Act litigation as well as pre-litigation settlement and severance negotiations. Mr. Schaer formerly practiced with the Law Offices of Linda B. Kenney, which later became the firm of Kenney, Schaer & Martin and has an established reputation of being an aggressive and experienced employment attorney with a proven track record of results. As a New Jersey employment lawyer Mr. Schaer handles all aspects of complex state and federal litigation matters and appeals, against both small and large employers including multi-national corporations as well as municipal entities. Prior to starting in private practice, Mr. Schaer worked as a law clerk in both the New Jersey trial and appellate courts as well as a litigation attorney with the Firm of Tompkins, McGuire and Wachenfeld and a summer associate with the law firm of Wilentz, Goldman & Spitzer. Mr. Schaer has lectured for the New Jersey Institute of Continuing Legal Education ("ICLE") by teaching newly admitted lawyers on Civil Trial Preparation and has attended numerous educational seminars held by the Association of Trial Lawyers of America (ATLA), the National Employment Lawyers Association (NELA) and the Institute for Continuing Legal Education (ICLE). He is also experienced in resolving disputes through training in Mediation and Conciliation skills that he received through the Administrative Office of the Courts. 5. Will you be kept informed? 8. Who will be handling your case?